Clinique, the Estée Lauder make-up brand, has created a game to launch its new foundation. 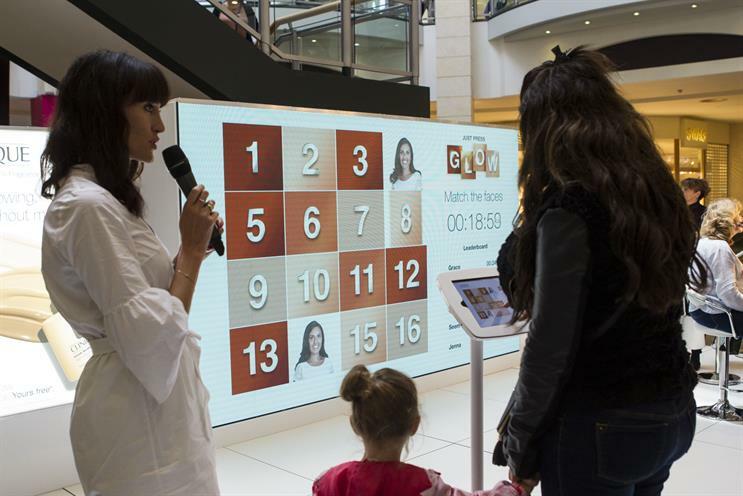 The pop-up at four shopping centres across the UK give people the chance to play a game of pairs to match the images of women with their make-up on and off to show off the benefits of the product. Customers can also play "Just press glow" online and enter a competition to win a goodie bag worth £100. The idea was conceived by Lida and M&C Saatchi PR worked on the experience element.